I know, I know, the Douglas Adams comparison is unfair and raises expectations to insane heights. But I actually loved Year Zero. 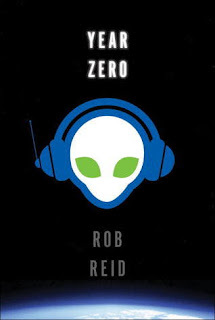 It isn't without flaws, but it made me chuckle and I hope Rob keeps writing funny fiction. It is hard to leave up to a comparison to Adams. Year Zero does have a nice absurdist bent that made me grin quite a few times. I'd certainly be interested in what Reid does next. I think it's much more funny than Adams, but it lacks the timelessness. Reid's humor won't last much beyond this decade.